PhD researcher Karen Sutherland offers her tips on what Not for Profits can do to inspire people to be ongoing supporters if they are only supporting their friends or family rather than the actual organisation to which they are donating. Recently, I was speaking to Not for Profit organisations about how to use social media to inspire donors at the ‘Future of Fundraising’ workshops in Melbourne and Sydney with Director of Digital for Charity:Water, Paull Young and Director of ntegrity, Richenda Veremeulen. During our workshop discussions, there was one particular topic that remained elusive: how to convert donors gained through social media campaigns. We discussed in detail how donors’ networks of friends and followers can be leveraged to increase donations, also known as ‘friendraising’. Usually, this occurs when a donor commits to fundraise for a specific campaign such as ‘Run for the Kids’ or exchanging their birthday presents for donations to Charity:Water. This fundraising method can be extremely effective and this is a theme that is also strongly apparent in my PhD researching findings. In my interviews with donors, supporters and volunteers that follow charities on social media, sponsoring a friend, family member or a colleague that is participating in a charity campaign is a strong motivator in prompting donations via social media, especially to a charity that they had not previously supported. While social media can be fundamental in generating donations from networks of people that you may never before have had access to, what seems to be baffling the sector is how to then convert those one off donors into fundraisers or at least donors that understand your organisation enough to give more than once. This is tricky and the practice of leveraging networks has been referred to in the corporate sector as a ‘viral quotient’ in terms of the sharing of content within social networks. In the case of Not for Profit organisations, especially charities, it seems to involve more than just sharing content, but sharing inspiration. Be grateful, not needy. Ensure that when you thank the donor for their contribution, that you do this in a positive and memorable way that makes them feel good. Do not pump them up only to ask for more money, as it will come across as insincere. Remember, that you are in the beginning stages of your relationship. Treat it like a first date and make the donors’ experience with your organisation enjoyable enough that they are looking forward to seeing you again. Don’t underestimate the power of email. Try to build a relationship via email. This does not mean inundating donors with requests for more donations or with too many emails in general. Inspire them with stories of how your organisation positively transforms people’s lives, including the lives of your donors. Do not try to make them feel guilty or they will press delete very quickly. Ask the fundraiser to report back. Another theme coming out of my research is that donors want to know where their money is going. It makes sense to ask the initial fundraiser to report back to their supporters on what was achieved because of their donation. How did their donation change someone’s life? Asking the fundraiser to deliver this message seems logical as they were the original link to your organisation and someone that is familiar to the new donor. Therefore, the fundraiser will also be providing an endorsement of the organisation to their networks purely by their delivery of this message. However, No for Profits need to be able to make this communication easy for the fundraiser. Providing social media and email friendly content to support the fundraiser in delivering this message will reduce barriers preventing it from getting through. Also, asking the initial fundraiser to share their positive experiences during the campaign with their friends and followers is another way of promoting positive relationships with your organisation by leveraging wider networks. Conversion is not easy, but making the giving experience all about the donor will assist in developing a positive relationship between the donor and your organisation. 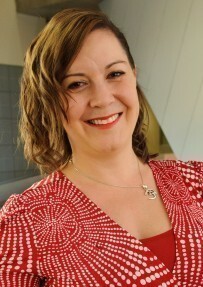 About the author: Melbourne Researcher Karen Sutherland has completed more than 18 months into a doctoral thesis at Monash University where she is exploring how Not for Profit organisations are using social media compared with what their donors, supporters and volunteers actually want.